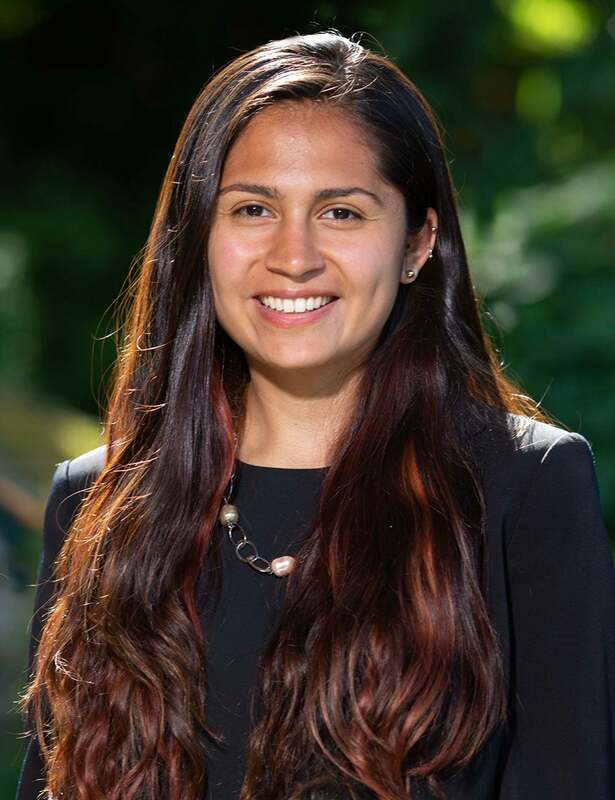 The Undergraduate Research Program (URP) at CSHL provides an opportunity for undergraduate scientists from around the world to conduct first-rate research. Students learn the scientific process, technical methods and theoretical principles, and communicate their discoveries to other scientists. Approximately 20 students come to CSHL each summer for the 10-week program, living and working in the exciting Laboratory environment. In addition to doing research in the lab, URP participants attend a series of specially designed workshops, seminars and collegial events. Workshops focus on learning particular skills, such as Python programming, while seminars cover research topics, responsible conduct of research, and career development. At the URP Symposium at the end of each summer, students present their research to the entire CSHL community. URP participants live and work among CSHL scientists. They are invited to all Laboratory social activities, including an exclusive dinner with CSHL President Bruce Stillman. On weekends, students are free to explore nearby New York City or the sandy beaches of Long Island. By the end of the summer, URP participants have first-hand experience of a career in scientific research. Registration for the 2019 URP Program is now closed. The 2019 URP Program will be held June 10 – August 10, 2019. All URP students undertake an original research project, mentored by one of CSHL’s outstanding research faculty. Students have access to the Lab’s state-of-the-art research facilities, including extensive resources for genomics and microscopy. At the end of the Program, students write a scientific manuscript about their summer work. Some of these become part of peer-reviewed scientific publications. CSHL’s URP presents students with a two-part workshop in Bioinformatics and Computational Neuroscience. The Program offers lectures on how to write an effective abstract and how to give a scientific talk. 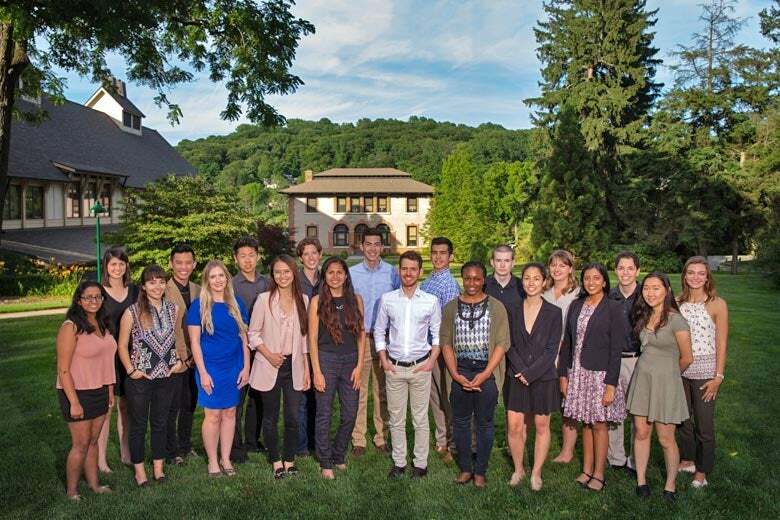 In the course of the summer Program, students prepare a research abstract and a scientific manuscript, and present two research talks for the entire CSHL scientific community. Before starting work in their laboratories, URP participants attend a two-part Responsible Conduct of Research workshop, which covers ethical issues in biological research. Students are also instructed in laboratory safety. Current sophomores and juniors are eligible. Applications must be submitted online by January 15. All applicants must complete an URP application form with a personal statement online. Faxed, mailed, or emailed applications are not accepted. You may submit your application before the recommendation letters have been uploaded by your referees. Once an application has been submitted, changes cannot be made. Please review your application carefully before submitting. Your personal statement is limited to a single page – approximately 600 words or 3,250 characters (including spaces), single-spaced. You should use a minimum of 1-inch margins. You should ensure that your statement is legible. We would appreciate a minimum of 11-point font, preferably sans serif (such as Helvetica). Other traditional fonts, such as Times New Roman, are also acceptable. The deadline for receipt of completed applications, including letters of recommendation, is January 15 at 11:59 pm (23:59) Pacific Standard Time (equivalent to January 16, 07:59 UTC/GMT). Applications will not be reviewed if they are received after the deadline. Recommendation letters will not be accepted after the application deadline. Please make sure your referees are aware of the January 15 deadline when you ask them to write a recommendation. Most referees need at least a month to complete a letter. If your referee has any problems uploading the letter to the online application system, they should contact help@embark.com directly. Notification of application status will be sent by the end of March. Students of any nationality are eligible for the program. Students should have a strong academic background in a science. Although the Program emphasizes the biological sciences, students with engineering, chemistry, computer science, math, or physics backgrounds are also encouraged to apply. Students must be returning to an undergraduate degree program following their URP summer research experience; current sophomores and juniors, or the equivalent, are eligible. Only in exceptional cases will first-year undergraduate students, with prior independent research experience, be considered. Previous laboratory research experience will help your application but is not required. If your academic semester conflicts with the dates of the URP program, you are still eligible to apply. If you are accepted into the Program, we will discuss how your academic schedule can be accommodated. For instance, in past years, some students have arranged with their professors at their home university to take one or more final exam at CSHL. But please note that all URP researchers are expected to participate in the program as a single group and must therefore plan to be at CSHL during the dates of the program. Official transcripts are not required. There is no minimum GPA required. Successful applicants generally have GPAs around 3.5 or higher in their science and math courses. If your GPA is not on a 4.0 scale, then please convert your grade to a 4.0 scale. If your institution does not have a standard scaling, then calculate by dividing your average mark by the maximum possible mark and multiplying by 4.0. TOEFL or IELTS scores are not required for admission to the URP program. If your grades are not based on a 4.0 scale, please note your institution’s grading scale and the actual class mark you received on the application. Also indicate the best possible mark. For example, if your university scale is 1 to 5, then note your grade as X/5, 1=best. Applicants must arrange for two recommendation letters from professors – preferably in math or science – to be submitted online. We do not accept more than two recommendation letters. If you have previous research experience, recommendation letters from professors with whom you have worked in a lab are especially encouraged. Letters from graduate students or postdocs in the lab are less effective. Faxed, mailed, or emailed recommendation letters are not accepted. Your referees will upload their recommendation letters directly to the online application system manager. When you fill in the application, you will submit the email addresses of your referees. Your referees will receive an email with instructions on how to upload their recommendation letter online. Please tell your referee that they will receive an email from the Embark application system so this notification email does not end up in spam. You may submit your application before recommendation letters have been uploaded by your referees. Students receive a stipend of $5500. All room & board expenses will be covered. Travel costs are not reimbursed. URP students reside in new “cabins” on the Cold Spring Harbor Laboratory campus. Each cabin provides single-gender housing for eight individuals with two students per room, and two full bathrooms. All linens and towels are provided, along with full housekeeping services. Lamps, desks, dressers, and small refrigerators will be available in each cabin. One phone with voicemail option is available in each room in the cabin. The cabins are also equipped with Wi-Fi internet access. All cabins are fully air-conditioned. Meals are served three times a day, seven days a week in the Blackford Dining Hall. Vegetarian and Vegan options are available at all times and our kitchen will make every effort to accommodate any special needs. Gym equipment and weights are available in the exercise room located in the lower level of the Dolan Hall. Also, washer and dryer facilities are available in Dolan. The Laboratory owns several Atlantic sailboats, canoes, and kayaks, available for URP student use. All participants are free to use our tennis and volleyball courts, running and hiking trails, swimming pool and private beach. CSHL holds volleyball tournaments during the summer where different laboratory buildings square off against each other. URP students are invited to join these teams, compete against the graduate students throughout the summer and the faculty at annual URP vs. PI (Principal Investigator/Lab Head) tournament, held at the end of the summer. What past URP participants said about their summer at CSHL. Participating in the Undergraduate Research Program (URP) at Cold Spring Harbor Laboratory was a phenomenal opportunity. It allowed me to develop new laboratory techniques and encouraged me to think critically. It also enabled me to learn from leaders in the field and from my fellow URP students via courses, research talks, and presentations. During the program, I worked on an exciting project in prostate cancer. I was also provided the opportunity to learn about other areas of research, from plants to differential gene expression in subtypes of melanoma. In addition to discussions about many areas of science, leisurely events were also offered through the program. I enjoyed practicing volleyball on the volleyball court and visiting NYC. Researching at CSHL this summer was truly rewarding. If you’re looking for a great undergraduate research experience, look no further! As an undergraduate, it can be difficult to feel like a full member of a lab…right? Not at Cold Spring Harbor. At CSHL, undergraduates like myself were welcomed with open arms from day one. 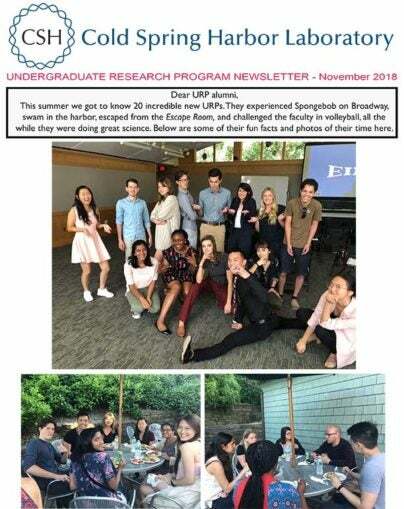 The first two weeks we were there, investigators, grad students, lab techs and other employees at the lab would come up to me so excited to meet the new “URP”, the name for students in this program. I studied under the guidance of Dr. Pavel Osten, whose lab uses state-of-the-art technology for whole-brain imaging. My school has a very set curriculum and there was no opportunity to study neuroscience at university. Thus, this experience gave me the opportunity to learn about a field of research that otherwise, I would not have had the opportunity to study. The program at CSHL has been even better than I could have imaged. Multiple times a week, I attended networking and educational events which the staff had planned for students. The staff at CSHL has gone above and beyond taking time out of their busy schedules to mentor and teach me. It has been amazing to work at such a prestigious research institute and yet still very much feel like my education and experience is the lab’s priority! This summer, I became a member of the scientific community. Having the opportunity to be immersed in the world of science has been an incredibly unique and rewarding experience, and has been the single experience that will have the biggest impact on my future career. You will be hard-pressed to find another research institution with a character that matches the excellence of its facilities and scientists. CSHL is home to a remarkable community of revolutionary investigators who strive to define and direct the frontiers of their respective fields daily. To have contributed to the rich history of the Undergraduate Research Program was a transformative opportunity for my growth as a scientist. This chance to assess and enhance my current skillsets has not only prepared me for graduate school but also a future career in research. CSHL serves as a major crossroads for scientists from around the globe, so it was incredibly easy to immerse myself in the latest topics for discussion and form new connections. Everyone I met, especially my principal investigator and graduate student mentor, was incredibly supportive and eager to share their passion for science. Living and learning alongside my fellow undergraduates on such a beautiful campus made it very easy to enjoy the summer; a typical day often included discussing our experimental results and project updates over meals, attending stimulating courses, and enjoying a game of ultimate frisbee or volleyball after analyzing data in the lab. To have conducted research at a place which continually impacts the lives of others was a humbling experience I will always treasure. 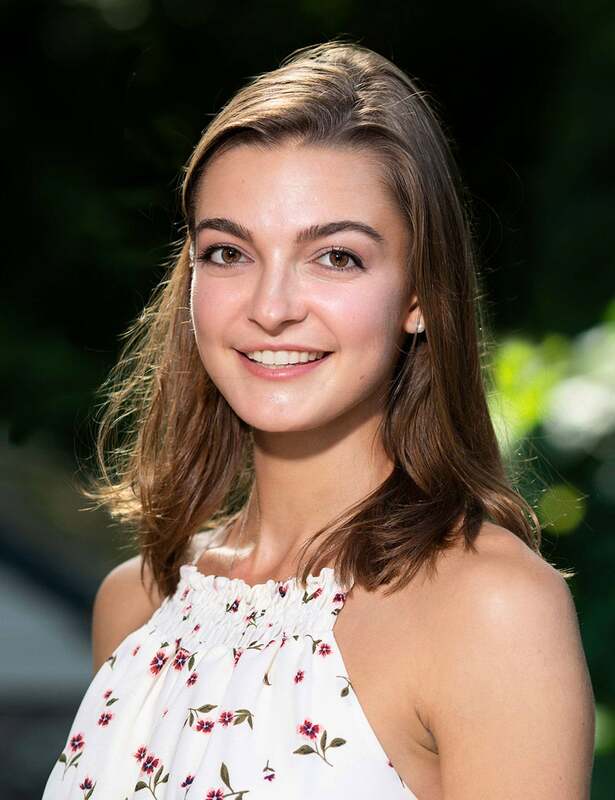 The Undergraduate Research Program at Cold Spring Harbor Laboratory this past summer provided an exceptional opportunity to grow as a budding biologist. Engaging in the small, tight-knit community at CSHL was such a unique and fun experience. There are few institutions where your faculty mentor might live a few buildings away from their lab, where there are volleyball games nearly daily, or where there is such a rich history of discovery in the biological sciences and so many outside scientists come to present their work. In other words, CSHL is unique for many reasons, though the small community definitely stood out to me and greatly impacted my experience. I felt continually supported by my faculty mentor and appreciated her feedback throughout the summer on my presentations, written work, and lab work. I am a better scientist because of the feedback and advice I received from her, other lab members, and the URP administrators. The close relationships I formed with these people were definitely aided by the small and collaborative nature of the community at CSHL. It was inspiring to work among such dedicated scientists and so rewarding to learn from them. The URPs were another integral community to my summer experience. It was so much fun having a cohort of peers interested in biology research to troubleshoot results with at dinnertime, go to cool talks with during the week, and just hang out with on the weekends. I felt totally in my element this summer at CSHL as an aspiring scientist and feel very fortunate to have participated in this exceptional program. Since 1959, the URP Program has been offering undergraduate students a unique opportunity to study with CSHL’s renowned scientists. Some of our notable alumni include Nobel laureate Dr. David Baltimore (California Institute of Technology), Dr. Gerry Rubin (HHMI, Janelia Farm Research Campus), Dr. Alfred Goldberg (Harvard Medical School), Dr. Geraldine Seydoux (Johns Hopkins), and Dr. Charles Gilbert (Rockefeller University), among many others. Make a donation to Cold Spring Harbor Laboratory’s Undergraduate Research Program. CSHL’s REU program in Bioinformatics and Computational Biology was supported by the NSF 2005 – 2014. The technological advances in this century open a new realm of biological questions that can be addressed experimentally. Large genomic sequence or image datasets are routinely and quickly acquired, but the resources and expertise to analyze this data present a challenge to researchers. 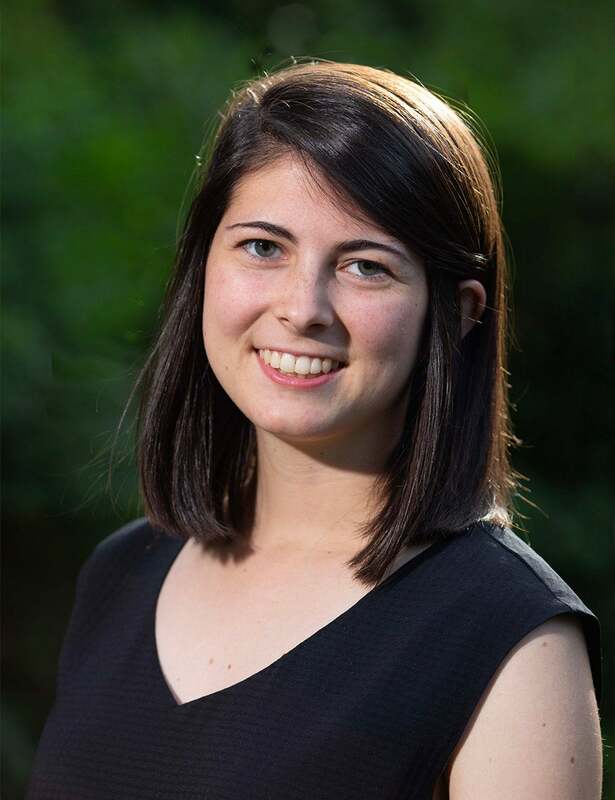 CSHL’s unique NSF REU program in Bioinformatics and Computational Biology addresses this need by providing early training to undergraduate students who might not otherwise pursue quantitative approaches. CSHL’s URP/REU students learn theory and techniques from an applied perspective, investigating an important biological problem rather than from the abstract perspective of computer science. Students are mentored by expert CSHL researchers, who combine biology, information theory and sophisticated computational techniques to address questions at the frontiers of modern genomics, bioinformatics, and neuroscience. 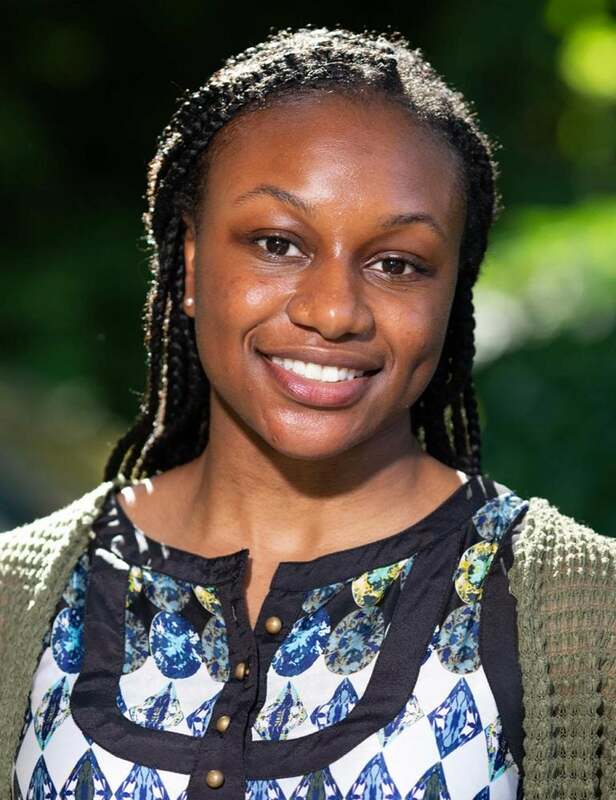 In the past ten years, CSHL’s URP/REU program has recruited and trained a diverse group of students, many of whom are still working in bioinformatics or computational fields. Almost all URP/REU participants have continued in scientific careers and/or advanced degree programs at competitive institutions. The program provides students with a modern quantitative biology training program that aims to inspire young scientists to become active participants in modern biological research with its demands for quantitative and computational skills. Alexander Krasnitz – Genomics of cancer; machine learning for biology; inference from noisy biological data; large-scale numerical computing. All URP participants may take part in the Bioinformatics and Computational Biology program. NSF-supported REU participants are selected from among the URP participants. Students supported by NSF must be citizens or permanent residents of the United States or its possessions. If you are interested in bioinformatics and computational neuroscience, including research in any of the labs listed above, but are not a US citizen or permanent resident, you are eligible for the program through sponsorship from non-restricted URP fellowships. As for all URP participants, NSF-supported students must be currently enrolled as undergraduates. An undergraduate student is a student who is enrolled in a degree program (part-time or full-time) leading to a baccalaureate or associate degree. Students who will have graduated before the program starts in June are not eligible. Participants must be “returning to an undergraduate program” after the summer REU program. (See NSF eligibility requirements).